UCCFS: Chocolate Chip Cookies vs Pumpkin Pie – I Love It Spicy! Dessert comfort food battle. Two of the most popular sweet tooth desserts in mankind history. 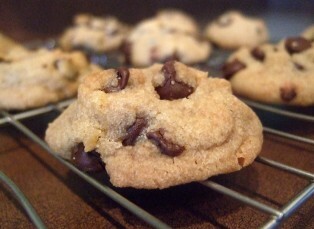 Who never had a homemade chocolate chip cookie straight from the oven? With that melt in your mouth chocolatey goodness. Then there are the so many store bought variety with nuts, double chocolate chip, white chocolate chip, mint chocolate chip, peanut butter, and coconut just to name a few. Everyone has their favorite. 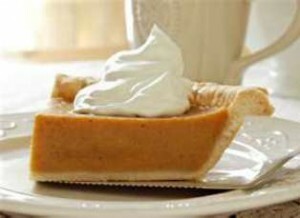 Then we bring in the holiday favorite, Pumpkin F&%@in’ Pie! Always with a dollop of whipped cream and a glass o’ milk. Not many varieties here. When you expect classic, you want classic, and there is tradition with this pie that has classic written all over every mouthwatering forkful. It starts and ends with the perfect crust, but it is the nutmeg and all spice that swirls amongst the fresh pumpkin that we fall in love with. Pumpkin F&%@in’ Pie! I only eat 1 maybe 2 slices of punkin pie a year and only because it goes with the turkey day dinner. Chocolate chip cookies get my vote on this one. Warm cookies and a big glass of cold milk hit the spot anytime. I am very happy this is a blowout. I am not a fan of pumpkin pie, and the chocolate chip cookie seems so much more apart of our culture.